The Lil' Ragnaros and Moonkin Hatchling minipets are the cutest things you can feel good about buying in World of Warcraft. Last year, Blizzard introduced the Pet Store for its massive MMO World of Warcraft as a way for players to spend real money to purchase in-game items. The items were two adorable minipets, Lil' K.T. and the Pandaren Monk, and they offered no in-game benefit other than following you around and looking sweet. 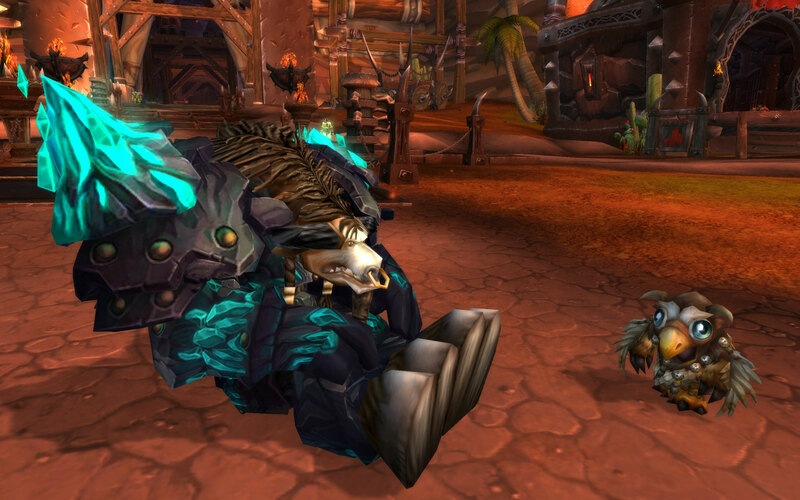 If you bought the Pandaren Monk for $10 before the end of 2009, half of that money went to the Make-A-Wish Foundation. 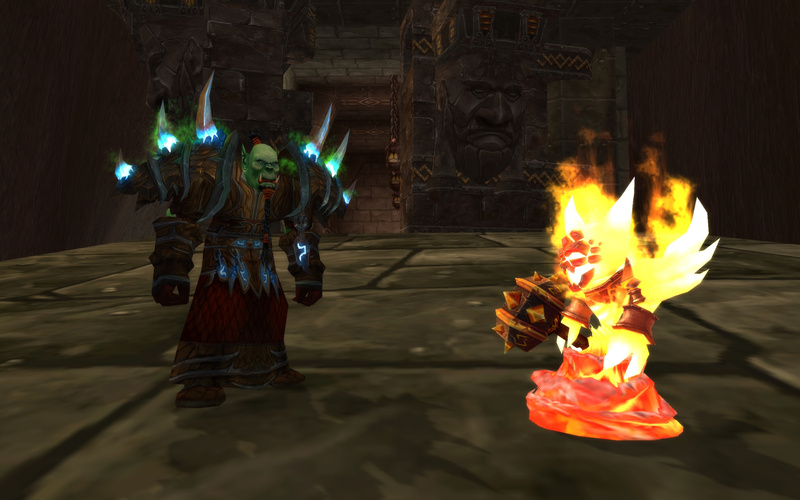 It looks like Blizzard has something similar planned for 2010 as the new Battle.net website for Wow expansion Cataclysm is teasing images for two new minipets, Lil' Ragnaros and the Moonkin Hatchling. There is no official word on when these cute little buggers will become available, but the announcement does confirm what Mike Morhaime mentioned at Blizzcon - purchasing the Moonkin Hatchling will help a good cause. 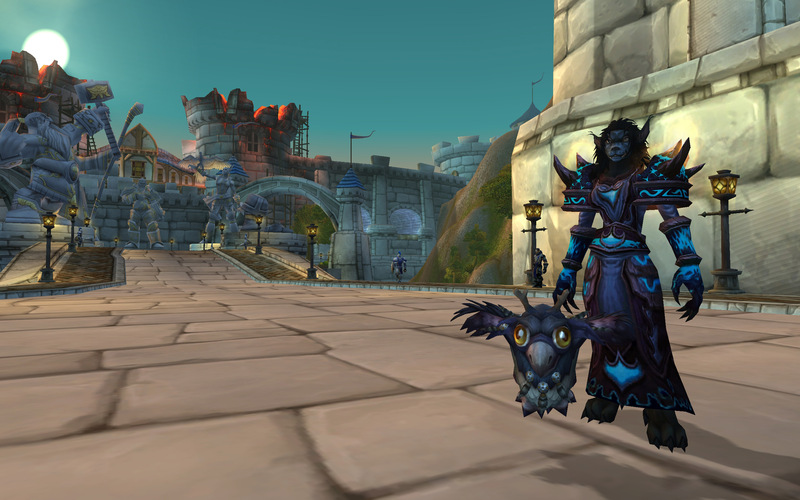 It also looks like the Moonkin will come in both Horde and Alliance varieties: the bluish purple hatchling depicted with the Female Worgen is the Alliance version and the gold and brown one with its Tauren friend would be "For the Horde!" Blizzard has had a great track record with providing microtransactions like this. The company announced that it contributed $1.1 million to Make-A-Wish from sales of the Pandaren Monk, from you which you can extrapolate that Blizzard earned at least that much from the microtransaction experiment. Then in April 2010, Blizzard offered a $25 mount called the Celestial Steed and tens of thousands of WoW players lined up to purchase it online. The company never announced how much it made from the Celestial Steed, but some estimated that it made more than $2 million the first day that it went on sale. Some WoW players were put off that such microtransactions could affect actual gameplay, and the Celestial Steed mount did in fact allow you to move much faster through the world of Azeroth if you had a run of the mill flying mount. But the Celestial Steed wasn't any faster than other "Epic" speed mounts already in the game so it wasn't exactly game-breaking either. All in all, I'm glad to see that Blizzard is continuing the tradition of offering largely cosmetic items for sale, and, everyone likes contributing towards charity, especially around the holidays. And the Lil' Ragnaros is really quite cute. Do you think he will breathe fire like my other favorite minipet, the Mini Diablo available from the Vanilla WoW Collectors Edition?